Beena Pradhan is an acclaimed painter and artist who stumbled upon art by accident, but then created a unique style with it. Blessed with an unquenchable love and curiosity for expression, I started experimenting with different tools for painting - pastel, oil, watercolours, charcoal and finally, acrylic. 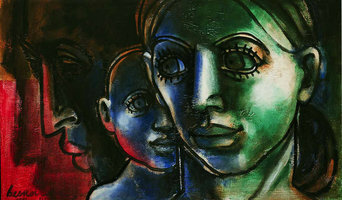 A majority of my works are made of acrylic, since I like to use bold strokes resembling the eyes of my mind. 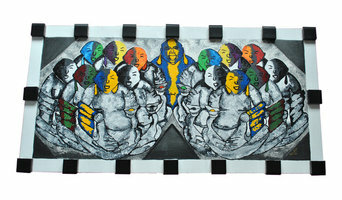 My brand new series called ‘Equal Color’ beautifully explores stimulating senses and character of color spectrum. It also reverberates my belief about equality of humans irrespective of their creed, class or color. 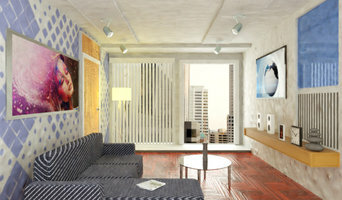 I am a graphic desiner who can do 3d home elvation, and realistic interiors renders for you at a really cheap price starting from 1500 to 5000 rupees. I will take 5000 only in some most critical cases where details are bit too high. Whatsapp me on:- 9105774665 to have a direct conversation for price and to tell the details as a customer you want in your renders..
You can find a broad range of specialty contractors from elevator companies to packers and movers in Kolkata. If you are building a property from scratch or planning a large extension then you can more technically skilled renovators like a good rendering and plastering company or an experienced structural engineer. 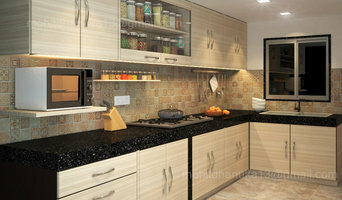 You can also talk and consult a Kolkata cabinetry professionals about customized designs to add some uniqueness to your home. Don’t forget speciality contractors like home cleaning services, pest control services, and waterproof contractors will also be able to help you maintain your beautiful home. Find specialty contractors on Houzz. Look in the'Find Pros' section of our website. You can also look through photos of Kolkata specialty contractor’s completed projects to see how specialist home contractors might approach design challenges.